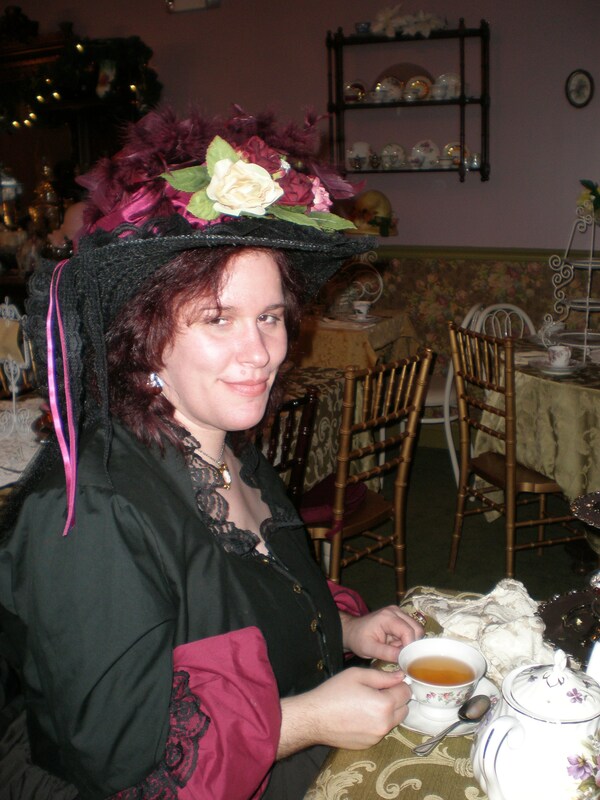 Victorian Tea Parties are our specialty! We can recommend and host your event at Long Island's finest tea rooms for the perfect ambiance OR we can bring everything to you. The choice is yours. At Living History Services we want your themed event to be dream a come true. 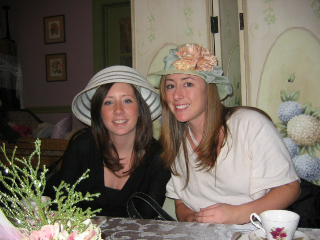 "Honor the past and create the future"
See our Victorian Tea featured on Fios 1 News!!!! 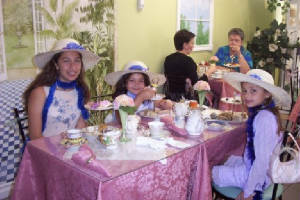 We host Victorian teas for residents and businesses on Long Island and want to offer this successful service to you. 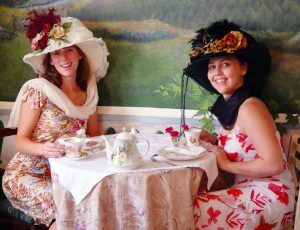 Ladies dressed as if they stepped out of a Victorian painting will interact with guests speaking in the vernacular and of subject matters of the time. 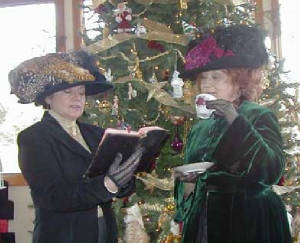 These Ladies will sing Victorian songs, play Victorian parlor games, hand out prizes, read period poetry, gossip, bicker, and engage in a fun historically accurately display that will be remembered as a unique experience and will be talked about for years to come. Packages and prices are subject to change without notification. Packages can be customized for an additional fee. Food service with table cloths, napkins, dishes and utensils supplied is available for up to 20 people. Food alone, without dishes or serving pieces is available for parties of any size. Please contact Living History Services for more information. Living History Services is not responsible for food allergies. Please be aware of the health needs of your guests so we may customize your package accordingly. Vegan, Kosher or Halal food packages can be arranged if the hosting site is able to provide a kitchen, and utensils so that we can prepare your order to your specifications. Food items chosen may be subsituted for a similar item without notice at the discretion of Living History Service's. Packages can be made to serve up to 30 people with service ware provided. Food can be prepared and provided for a party of any size. Includes: Tea and four busicuts with jam for each guest. Includes: Tea and one scone with jam and 3 assorted tea cakes for each guest. Includes: Tea, one scone with jam, 3 assorted tea cakes, 2 piece of chocolate dipped fruit or molded chocolates for each guest. Includes: Tea (Choice of hot or iced tea both served in a tea pot) 2 of the same type of sandwiches (choice of peanutbutter and jelly, creamcheese and jelly, american cheese, or tuna salad sandwiches) and 3 tea cakes for each child. Includes: Tea, 2 of the same type of finger sandwich, 3 of the same flavor tea cake, and one scone with one flavor of jam, for each guest. 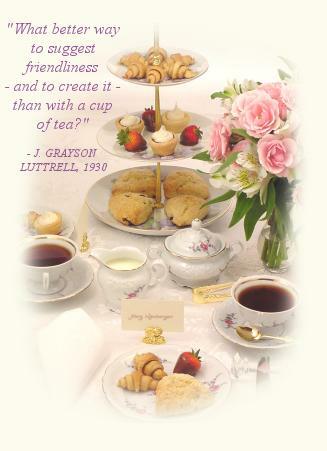 Includes: Tea, 2 different types of finger sandwich, 3 different flavored tea cakes, and one scone with one flavor of jam, for each guest. Includes: Tea, 3 different types of finger sandwich, 3 different flavored tea cakes, and one scone with one flavor of jam, for each guest. Includes: Tea, 4 different types of finger sandwich, 3 different flavored tea cakes, and two scones with two flavors of jam, for each guest. Includes: Tea, 4 different types of finger sandwich, 3 different flavored tea cakes, two scones with two flavors of jam, and seasonal hand dipped chocolate covered fruit or hand made molded chocolates for each guest. 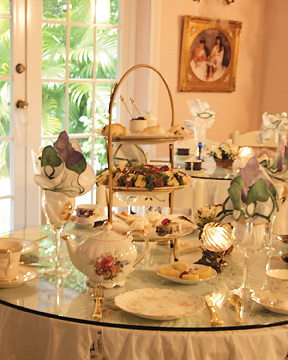 Includes: Tea, 4 different types of finger sandwich, 3 different flavored tea cakes, two scones with two flavors of jam and honey butter, seasonal hand dipped chocolate covered fruit or hand made molded chocolates, and 3 different types of cheese with crackers or 2 deviled egg halfs for each guest. Small bite size cakes that are unfrosted so they can be eaten easily with the fingers. All tea cakes can have your choice of white (or colored), milk or dark chocolate coated bottom for a $15 additional fee. We offer the following sugar free, low sugar or no sugar added desserts. They can be added to any package or used to subsitute our tea cakes. They can also be made in a natural sweetener version. Some items require a freezer, refridgerator or an oven to be available on site. Some items are seasonal and may not be available upon request. Living History Services is not responsible for food allergies, please be aware of the health needs of your guests. We DO NOT provide, Out Door Tents, Tables or Chairs. 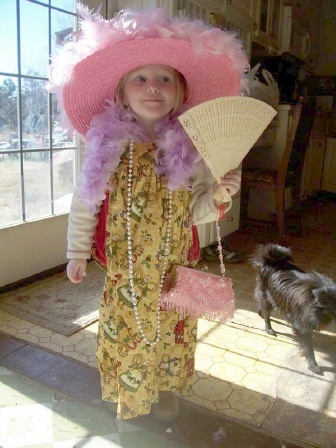 Character Dress, Scripted Acting, Social Interaction, Poetry Reading, Educational Lecture, Historical Discussion, Story Telling (when appropriate), Period Singing, Photo Opportunity, and Parlor Games w/ prizes. Fortune telling (Tea Leaf Reading, Palm Reading, Gypsie Card Reading, Tarot Card Reading, Rune Reading.) seasonal or party themed crafts, old fashioned portraits, party favors, fortune telling, food and refereshments, invitation printing and mailing, gift wrapping. LIVING HISTORY IS NOT RESPONSIBLE FOR FOOD ALLERGIES OR FOOD RELATED ILLNESSES.